written by the artists with guest posts. The four Living Symphonies installations that took place over summer 2014 were co-produced by Forestry Commission England and Sound And Music. 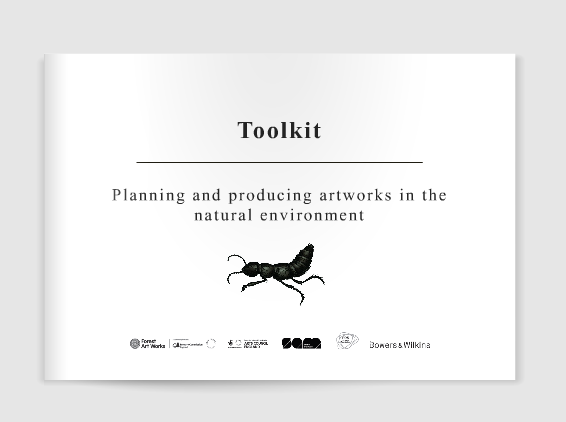 The knowledge collectively developed over this 18-month process has been turned into a toolkit to assist artists and arts organisations in producing future outdoor works. Planning and Producing Artworks In The Natural Environment details the complete process from early-stage planning through to installation and documentation. Many thanks to the teams at FCE and SAM that produced this document, whose tireless work was vital to the realisation of Living Symphonies.